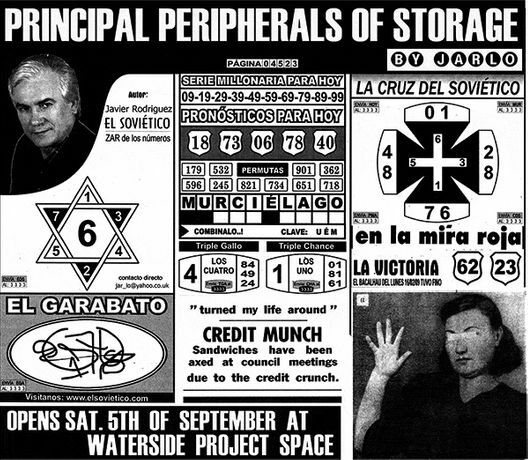 Principal Peripherals of Storage is a solo project by Javier Rodriguez (1975, Venezuela). Using a large number of maculaturas  over print sheets of waste paper found in printing houses  and wooden shipping pallets, Rodriguez has created an intricate environment in the gallery space. 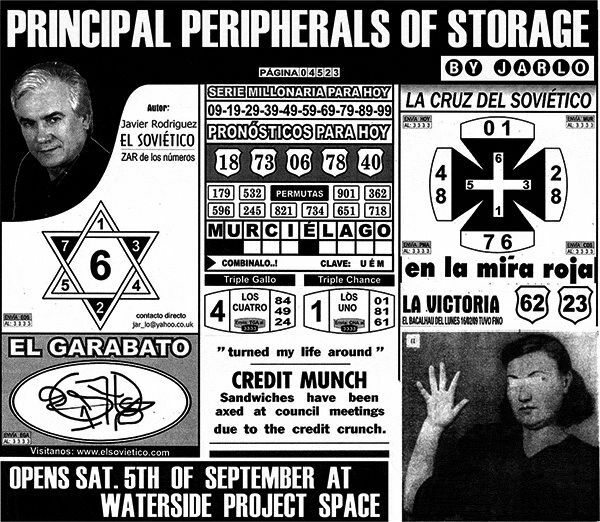 Each of the overprinted sheets has received multiple impressions of pages from newspapers, magazines, advertising and packaging. The text and images are pressed one on top of the other, out of register, bleeding between the layers, creating levels of saturation, both of colour and content, not found in regular publications. Rodriguez's new work creates a series of puzzles seemingly unintelligible to the naked eye.